This article will introduce you in detail how OneDrive backup software assist you to backup data from local device to cloud drive and sync files from cloud storage to local. Usually, OneDrive backup and sync refers to backup files from local storage to OneDrive cloud drive and vice versa sync cloud data back to local location. Sometimes, OneDrive backup and sync means to backup or sync data from one OneDrive account to another. In general, we can achieve data exchange between local devices and online cloud drive storages by simply uploading and downloading. Yet, if we want the exchange task be a usual and automatic operation, we can make use of professional OneDrive backup solution special for OneDrive users offered by Microsoft officially. 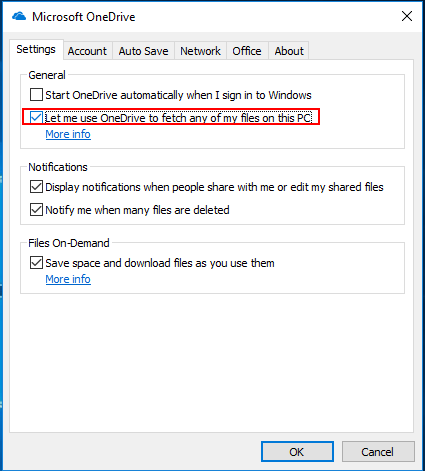 How to Operate OneDrive Backup and Sync? 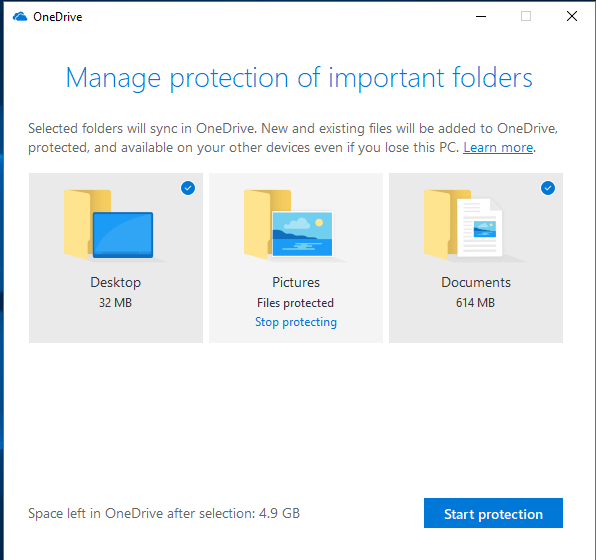 To make use of Microsoft OneDrive backup and sync software, first of all, you should download and install it on your computer. 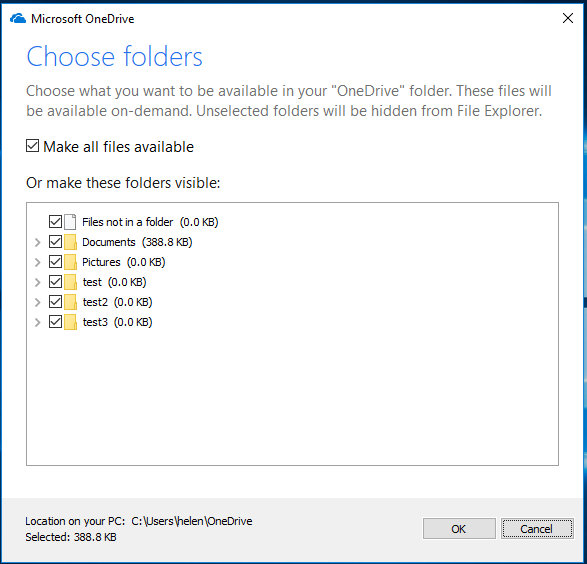 Tips: If you are running Windows 10 operating system, OneDrive is already installed on your computer and usually in system C partition with address “C:\Users\username\OneDrive”. Therefore, you do not have to download and install it again. 1. Open OneDrive. You can find OneDrive in Start or just search it out. 2. Sign in OneDrive. Sign in OneDrive program with your Microsoft account or Gmail. 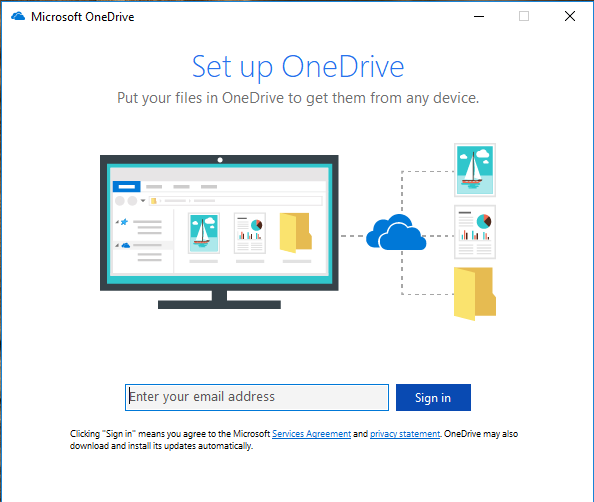 If this is your first time to open it, you will be showed several welcome screens introducing you brief instructions of how to use OneDrive service. 3. If you want to backup local files to OneDrive cloud, just add items and drag them into OneDrive folder on Partition C.
4. If you plan an automatic backup from local to cloud, click on OneDrive taskbar icon on the right, click on three dots and select Settings. In the pop-up window, move to Auto Save tab and specify your choices. 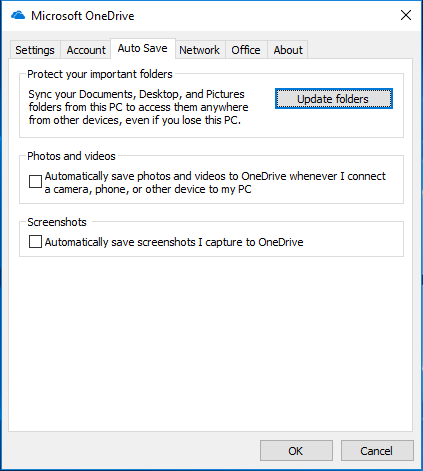 If you want to automatically sync your Documents, Desktop, and Pictures folders from this PC to access them anywhere from other devices, even if you lose this PC, you can choose “Upload folders” and select which folder to protect in the next window. You can also choose to automatically save photos and videos to OneDrive whenever you connect a camera, phone, or other device to your PC. Or, automatically save screenshots you capture to OneDrive. 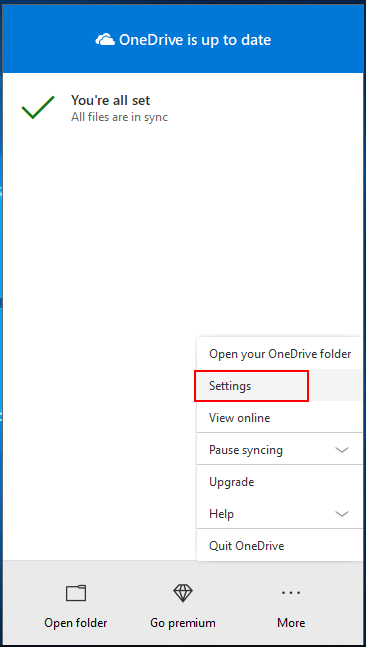 Tips: You can back up all files on your computer to cloud drive by checking “Let me use OneDrive to fetch any of my files on this PC” in Settings tab. 4. If you want to sync online files to local machine, move to Account tab and click “Choose folders”. In the pop-up window, specify which folders online can be viewed in local OneDrive folder. When all settings are done, you are free to do your other work with all planed files automatically backed up and sync between local and cloud. If you are wondering about any alternative to OneDrive solution in case OneDrive app is unavailable someday due to application crash. Or, you just want to try another service to do file exchange between local computer and OneDrive cloud. Then, there is one that worth recommendation called MultCloud. To help you backup and sync files from local to cloud or vice versa, you first need to create an account of MultCloud. Then, add your OneDrive account to it. Then, you can freely upload files from Windows Explorer to OneDrive and download from cloud storage to local device just like in OneDrive webpage. Of course, the main function of MultCloud is not the upload/download. As a multiple cloud drive manager, once you add all your cloud drive accounts to its platform, it enables you to directly backup or sync files from one OneDrive cloud storage to another while ensuring data security. Tips: MultCloud not only supports OneDrive, but also Google Drive, Dropbox, Mega, etc. all about 30 common cloud brands. 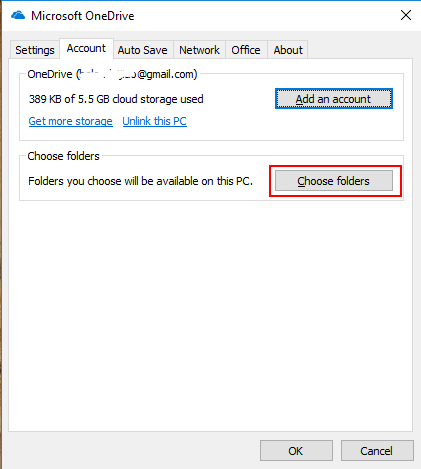 Thus, you can not only move data from one OneDrive account to another, but also from OneDrive to other clouds.